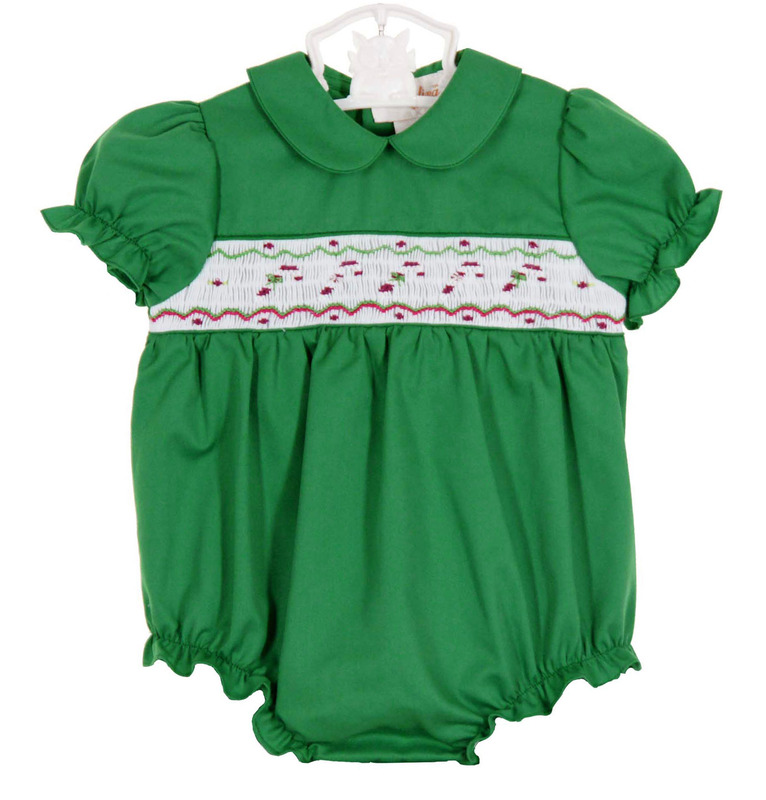 This darling little green cotton blend bubble is made by Rosalina, a leading designer of quality childrens' smocked apparel. 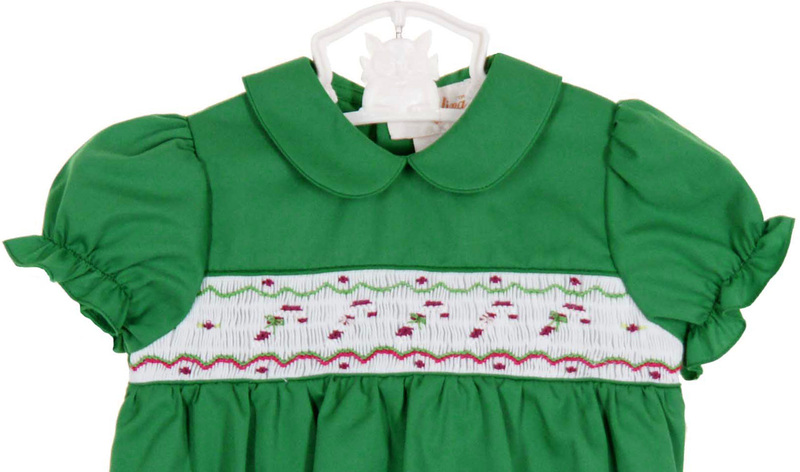 It features a white band of smocking embroidered with candy canes on the bodice. The bubble has a Peter Pan collar. The short puffed sleeves and leg openings are finished with elasticized ruffles. It closes in the back with three small buttons and snaps in the crotch for easy changes. The sweetest Christmas bubble for your baby girl! 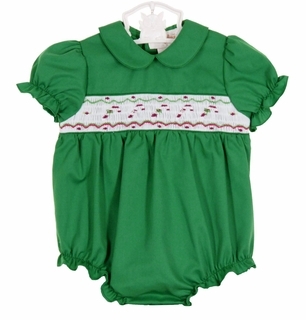 Note: Coordinating boys smocked romper and girls dress also available. See below.